This SZP includes the T3 Control Group and a single circuit Topway T2 1” pre-assembled manifold for use in single zone Under Floor Heating applications such as conservatories and extensions. The kit includes a pipe mounted thermostat, a mechanical dial room thermostat and a 4-wire electrothermic head. Supplied with one flow and return connection complete with automatic air vents, drain and fill valves and end caps. The SZP is provided with an electrothermic valve body which allows electrical control of the circuit either by a programmable or standard wall thermostat, and a pipe thermostat. Used with a four-wire electrothermic head which includes an auxiliary switch, this also allows independent switching on and off of the pump. The pack contains a T3 Control Group with mixing valve and an ErP compliant class A variable speed Wilo Yonos Para RS25/6 RKA circulating pump, a Single Loop Manifold, pipe-mounted thermostat, a mechanical dial room thermostat and a 4-wire electrothermic head. The electrothermic head incorporates an auxiliary switch, independently allowing you to signal the pump to start, without the need for a wiring centre. 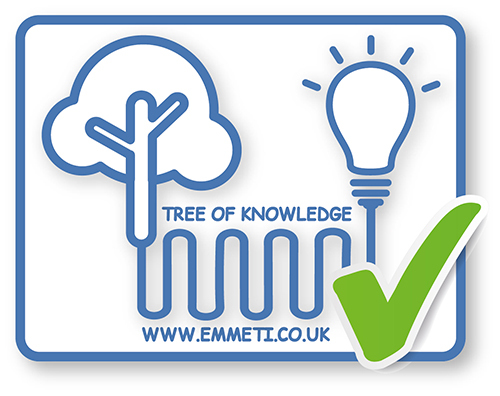 For Emmeti Monoblocco connectors, blanking plugs, manual air vents and ball valves please refer to Manifold Accessories and Ball Valves. Does this come as one pre-assembled unit? The single zone pack is supplied in one box but as two separate parts, you will be supplied with a T3 UFH Control Set and a T2 Topway SLM. They will need to be assembled together as per the installation and maintenance instructions. What are the 6 temperature settings equivalent to on the T3 UFH Control Set? What is a ‘shunt unit’? A 'shunt unit' is the description given in Nordic countries to a underfloor heating pump and temperature management unit. Emmeti UK call this the T3 Control Set.